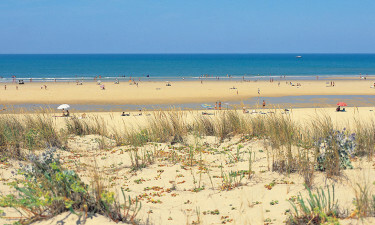 Commanding a stunning position on the edge of the ocean in the New-Aquitaine region of France, La Plage de Mimizan provides the perfect blend of exciting activities and pure relaxation. When you book this luxury camping site through the LuxCamp team, you can be sure that each and every detail will be taken care of. The lush forest of Landes de Gascogne is set at the edge of the site and this is a great place for hiking. Cycling along the coast is another popular activity among guests and offers stunning vistas along the way. 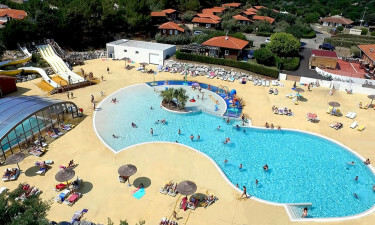 Why choose Camping La Plage de Mimizan? Guests will find a stretch of golden sand at the edge of the site, which is lapped by cool, clear waters. Guests will also have plenty of opportunities to simply gaze out at the ocean during their camping holiday as the site’s facilities are arranged to offer uninterrupted views. 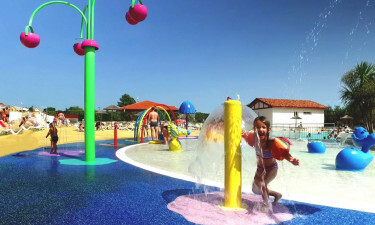 There are plenty of pools to choose from on the site with an outdoor pool for splashing around in and a plunge pool that comes complete with several looping waterslides. A heated indoor pool is also available to those who want to swim laps and practice activities such as aqua aerobics.